He serves as the chief representative for the organizations in the Alliance with Executive Branch officials, Congress, the media and the private sector. He provides strategic direction, government contract compliance advice, procurement advocacy, and public policy and government relations guidance for the health care systems that comprise the US Family Health Plan networks. Previously, Mr. Schweiter was a partner in an Am Law 100 international law firm. His practice focused on government contracts and government relations. 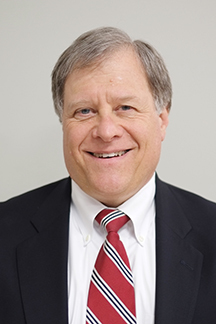 Mr. Schweiter also previously served for 15 years in several senior positions on the staff of the Committee on Armed Services, US House of Representatives, including counsel, general counsel and minority staff director. Mr. Schweiter also served as Deputy Assistant Secretary of Defense and was general counsel for the congressional Commission on the National Guard and Reserves. He has a B.A. from Gettysburg College, a J.D. from the University of Toledo and attended the Program for Senior Executives in National and International Security at Harvard University’s Kennedy School of Government.